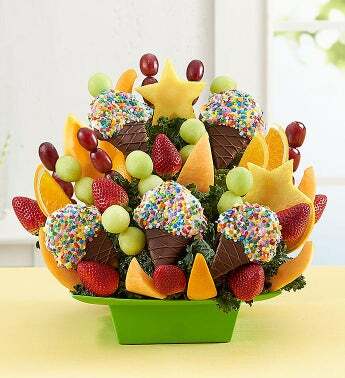 Delight them on their birthday with a delicious dipped treat! 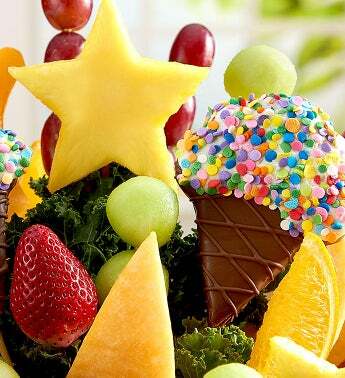 Our party-perfect fruit bouquet is enough for everyone to indulge, filled with a juicy selection including dipped pineapple “ice cream cones” covered in colorful sprinkles. How fun is that? Show your friend or family member some extra love by adding a cuddly plush bear and fun balloon to their gift!